The Next Generation of HR: AI and Chatbots, co-hosted by impress.ai and NASSCOM. 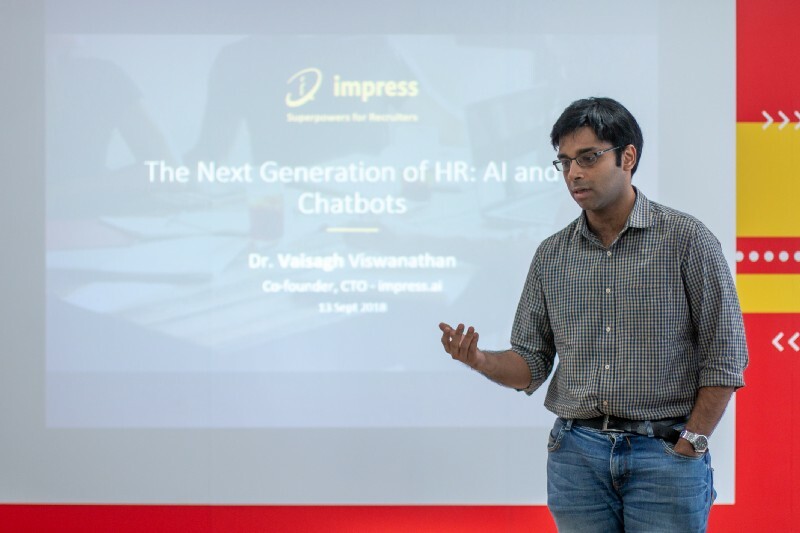 impress.ai, an AI chatbot software for recruiters, partnered with National Association of Software and Services Companies (NASSCOM), the trade association of the Indian IT and BPO industry, to co-host The Next Generation of HR: AI and Chatbots on Thursday, 13 September 2018. CTO and co-founder at impress.ai, VT is In charge of all things technology at the company. He holds a PhD in computer science from NTU and describes himself as a programmer, a scientist, a geek. A big thank you to NASSCOM for co-hosting this event with us!